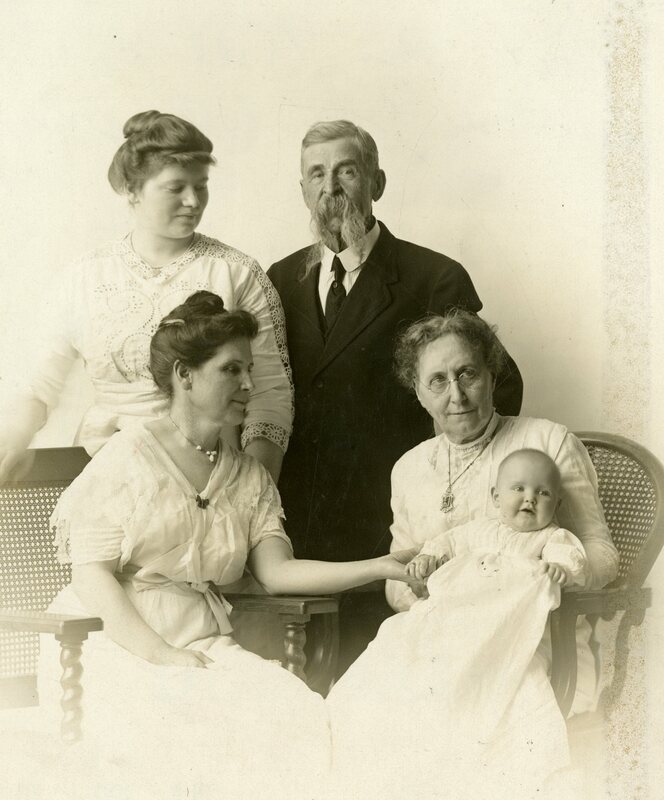 Photograph of William L. Smith and family; (born 9/19/1835; died 4/10/1917) organized nationally famous Smith's Swiss Bell Ringers; first all American troupe formed in the U.S. in 1861, disbanded in 1892; organized what became known as the Goodman Band on 9/19/1857. Photo by VanDeventer. VanDeventer Studio, of Decatur, IL. Photo File: Biography - Smith, William L.
Biography, William L. Smith, Photo File: Biography, Smith's Swiss Bell Ringers, Goodman Band, VanDeventer Studio, Decatur, IL. 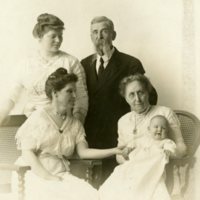 VanDeventer Studio, of Decatur, IL., “William L. Smith,” Decatur Illinois Public Library Local History Photo Collection, accessed April 24, 2019, http://omeka.decaturlibrary.org/items/show/2369.